Virgin Atlantic has announced plans to take a revolutionary vehicle the VVS1, in a journey to the centre of the earth. Only 500 people have been to space, only three people have been to the bottom of the ocean, but no one has ever attempted to journey to the core of an active volcano. Until now. 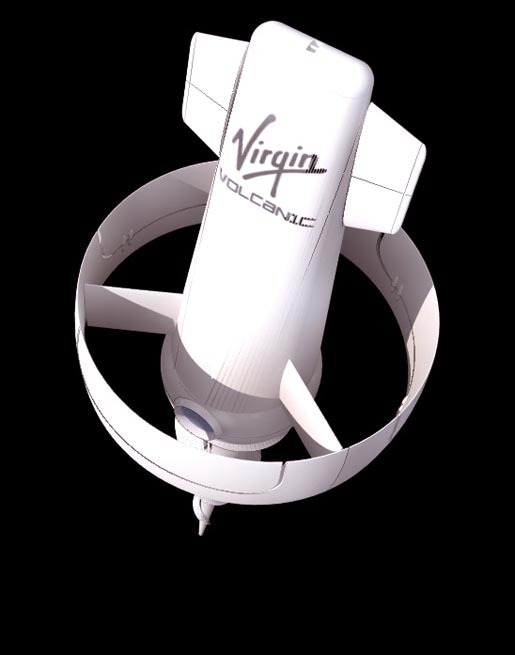 Using patented carbon-carbon materials pioneered for deep space exploration, Virgin will be capable of plunging three people into the molten lava core of an active volcano. In its first three years of operation, Virgin Volcanic’s VVS1 will target the five most active volcanoes in the world, Etna, in Sicily, Italy, Stromboli, in the Aeolian Islands, Yasur and Ambrym in Vanuatu, and Tinakula in the Solomon Islands. Virgin announced on April 1 that Sir Richard Branson will go on the first expedition along with Tom Hanks, star of Joe Versus the Volcano; Black Eyed Peas recording artist and science enthusiast Will.i.am, actor/producer Seth Green, and two-time Academy Award winning documentary filmmaker Barbara Kopple. Virgin registered Virgin Volcanic in the late 1990s in anticipation of the development of technology to explore active volcanoes. Documentary filmmaker Barbara Kopple has closed a deal with Virgin Produced to direct a documentary around the Virgin Volcanic project using groundbreaking 3D technology called VD. Recording artist (and passenger) Will.i.am plans to record the first volcanic soundtrack for the film, recorded entirely inside a live active volcano. The soundtrack will be released in conjunction with the documentary. “I am thrilled and honored to be part of such a groundbreaking movement into the exploration of volcanos,” said Barbara Kopple. “Sir Richard’s continued quest to uncover the unknown never ceases to amaze. To document this journey on film by working with Virgin Produced and first passengers Tom Hanks, will.i.am and Seth Green, I am confident this adventure will prove truly rewarding both personally and professionally. The team behind Virgin Volcanic believes going to the core of the five most active volcanoes is just the first step. In future this technology can be developed as a clean, safe and fast alternative to trans-continental commercial aviation. 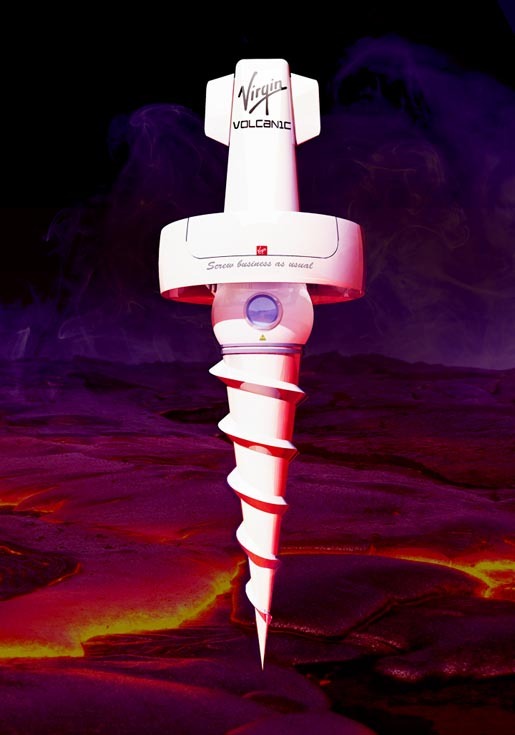 By taking the heat from molten lava Virgin Volcanic plans to develop a totally renewable energy source to power the VVS1. It is seen as a way to literally fulfill Richard Branson’s philosophy of screwing business as usual. This would involve going through the Earth rather than round it. Experts predict that one could travel from Hawaii to Naples in a couple of hours via the molten lava flows, with passengers boarding and disembarking from a network of “Earthports” close to the world’s volcanoes. The first Virgin Volcanic trips are scheduled for 2015. Go to virginvolcanic.com to find out more.